Perfect for the construction and building industries, our tipper hire service helps you complete your project with ease saving you time, money and effort. With tipper hire from ND Brown, we put you in control. You choose when you want it delivered, collected and how long you want to use it for. You can also hire it on an open end contract so you are not rushed or restricted by deadlines. In addition, our tipper hire is the best priced in the whole of the UK and no matter where you are we offer total support. At ND Brown, you are sure to find the right tipper to hire no matter the scale of your project. For instance, if you are a homeowner looking to clear up extensive garden waste or you have recently finished a job on the house with general debris to clean up then this 3.5 tonne tipper is a great choice. Featuring a steel dropside body, dual passenger seat and all the latest safety technology, this tipper is ideal for home use. For larger jobs, a larger tipper is obviously required and we have this 26 tonne version that has a 12 tonne payload. This tipper has a choice of HMF or atlas epsilon cranes and also features twin stand up controls. This too, has the very best safety features including amber beacons on the cabin roof and high resolution chevrons. 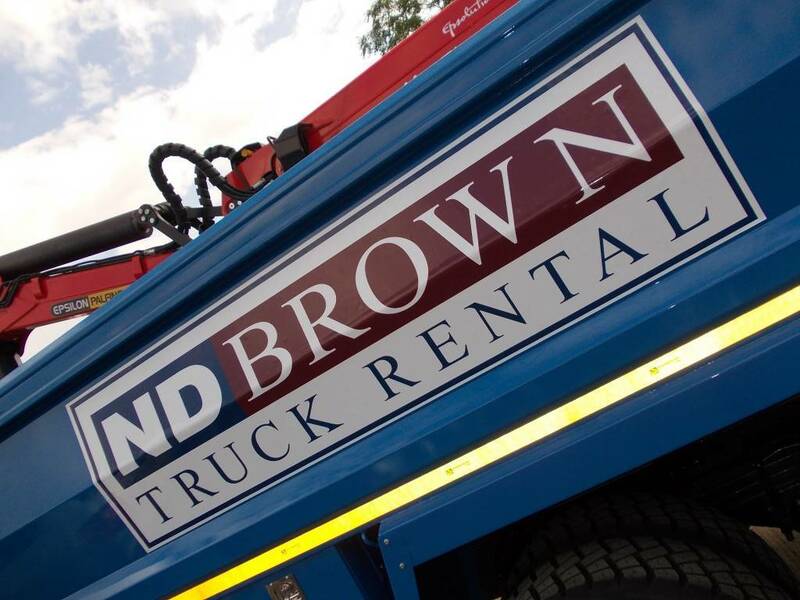 No matter where you are in the UK we will deliver and collect your vehicle when you choose ND Brown for tipper hire. We offer extremely competitive rates and have a huge range of vehicles to choose from. Tipper hire makes transporting waste safe, fast and easy while helping you avoid extortionate costs from private cleanup companies. If you would like to know more about our services or discuss your project in more detail, get in touch with our tipper hire experts today.